Building off of the heritage of the Nano-XR, the new Nano SST™ is an ultra-slim diameter shaft designed specifically for recurve bows. 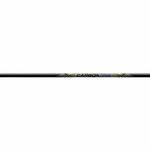 The Nano SST™ features three specific spine areas with the stiffest being in the mid section of the shaft and the weakest spine configured to the back-end to allow for proper fletching clearance through the shot on a recurve bow. 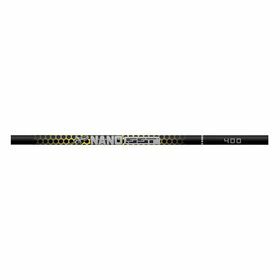 Nano SST™ has an ultra-slim parallel shaft profile that dramatically reduces cross-wind drift and is the ideal arrow for FITA, NAA and NFAA long-distance field shooting. Engineered for optimal velocity, strength and consistency, the Nano SST™ is constructed from 30-ton carbon so it will not take a set (permanent) bend and ensures faster recovery out of the bow and superior downrange accuracy shot after shot.